Baker Young Stockbrokers last week initiated research coverage on MUS, Mustang Resources (ASX:MUS), an ASX listed junior resource company focused on mineral exploration in Mozambique. MUS currently holds three licenses in the highly regarded Montepuez region. There are inherent social and political risks in this area and it can be difficult to get mining projects off the ground. If you are looking to invest in this stock, seek professional advice. 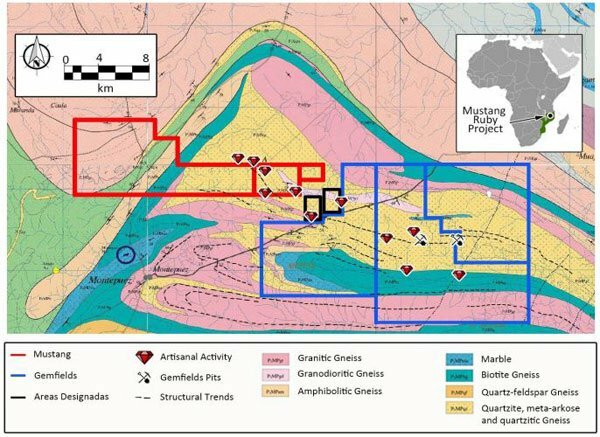 Baker Young released the detailed report on the company and its primary operation, the Montepuez Ruby Project, where MUS is currently conducting drilling and field work. Extensive bulk sampling is planned for June to December 2016. Given the low market capitalisation of the company, currently $6.9 million, any economic amounts of rubies found on Mustang’s projects through bulk sampling could have a positive impact on MUS’s share price, according to the report. 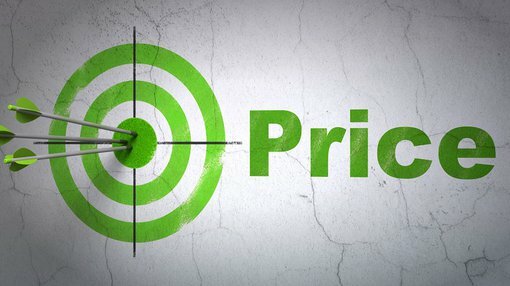 The research report comes with a buy recommendation on MUS and puts a 19c price target on the company, at the time of writing the company is trading at 4.1c on the ASX. It should be noted that report comes with a caution that this is a highly speculative investment and that the past performance of this company is not and should not be taken as an indication of future performance. Caution should be exercised in assessing past performance. This product, like all other financial products, is subject to market forces and unpredictable events that may adversely affect future performance. The revaluation by Baker Young Stockbrokers is based on expected results from bulk sampling and expected future operations. Analysts at Baker Young Stockbrokers believe MUS to be oversold based on selling from legacy shareholders, the market for resource exploration taking a hit in recent times and the company’s balance sheet being under pressure. With a recent capital raising of $3.85m and ongoing Share Purchase Plan (up to $1.8m) the company appears to have its financial house in order. The Montepuez Ruby Project is expected to generate high revenues off low capital expenditure, making it financially appealing longer term as well, should the company move to production phase. With the financials seemingly taken care of, MUS can shift its focus on locating a commercial quantity of rubles at their tenement. Through fast-tracking development at the Montepuez Ruby Project, MUS aims to move from a mineral exploration company to a producer over the coming months. Should upcoming bulk sampling yield results as expected by the company, sizeable revenues could be generated in the near term. Making the shift to becoming a producer and scaling operations easier if revenues were to start coming in early. Rubies sourced from the Montepuez region are estimated to account for 40% of the total global ruby trade, making it a hot spot for the rare gemstone. MUS’s Montepuez Ruby Project is situated next door to Gemfields PLC (GEM:LSE) who’s ruby deposit is one of the largest in the world. Gemfields realised a total of US$150.8 million in 5 auctions for 5.98 million carats of the 18.8m carats recovered during their bulk sampling phase (2012 – 2015) over which period its market capitalisation has grown to over A$450m. Which is expected to grow exponentially once they commence full scale operations. The close proximity of MUS’s project to Gemfields is likely to draw attention from investors should bulk sampling return favourable results. MUS is well positioned to piggy back on the success of Gemfields and bring any finds to market at a rapid pace. The ruby market is estimated to have topped US$2 billion in 2014, with consumer demand seeing the price of rubies increase 63% over the past 8 years. Rubies are the most expensive gemstone after diamonds, so essentially they are a woman’s second best friend. Assuming bulk sampling success, MUS is perfectly positioned to become a major supplier for the ruby market. Furthermore the company has the potential generate significant cashflow with relatively capital outlay.